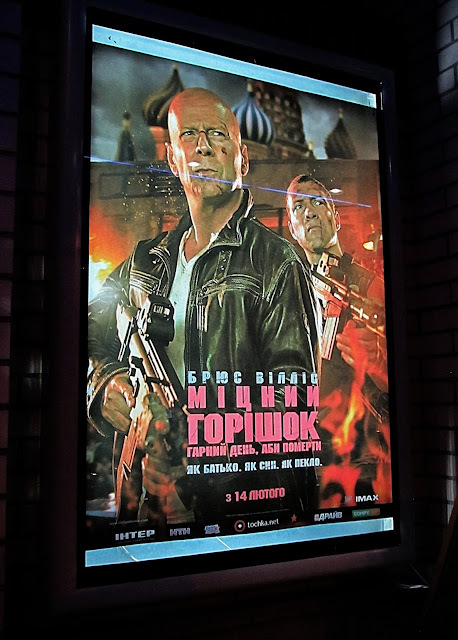 Use My Camera: Ukrainian "Cinema"
Along with being the most popular movie in America, A Good Day To Die Hard seems to be playing at nearly every theater in Ukraine. In my limited experience with Ukraine I feel like there is dual nature to Ukraine in that one side strives for Ukrainian independence from Russia, both politically and culturally, while another side fully supports a strong relationship with Russia. All that being said, there is something rich about the popularity of a movie in which an American icon blows up much of Moscow with his son. 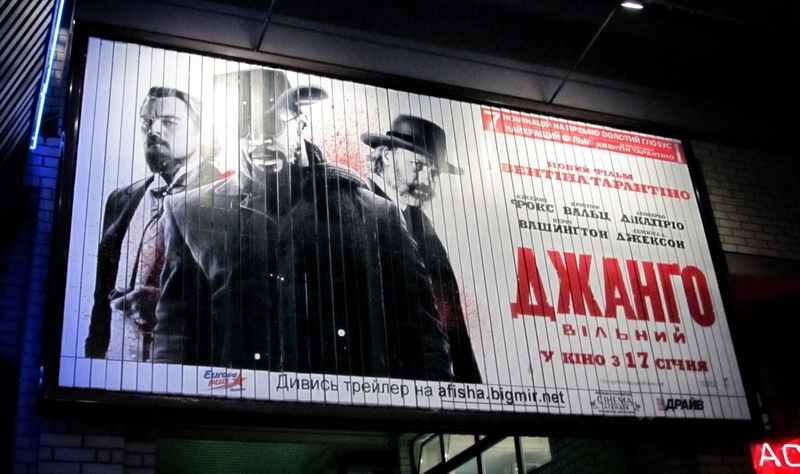 Another movie making the rounds currently in Ukraine is Django Unchained. It's hard to imagine a more American movie than the next installment of the Die Hard series but there you go.